Today, Clay and I are celebrating our 18th Anniversary! 18 years……There is much I could say about that, but we’ll save those thoughts for later. Today, I’m excited to tell you that this is the blog post I’ve been waiting to write since May 3, 2016. This blog will be from Clay. There are so many things the Lord has done in his life since his diagnosis that I’ve wanted to tell you about, but it’s not my story to tell. It’s his. And, he’s ready to share it with you. Because it’s our Anniversary weekend, we wanted to get away and have some time alone. We were discussing this earlier this week, and, while we were trying to think of somewhere to go, my sweet friend Gail Lloyd texted me to offer us their lake house for the weekend. God is so good to us. He always provides for our needs, and most of the time, our wishes. We said yes! I threw some clothes in a bag and we left. We had a short drive over to the lake and only stopped to get groceries. (Side note…..don’t ever take a steroid filled man to the grocery store! We have enough food for 2 weeks!) We arrived and we haven’t left the house since. We have been eating good. Gail has the most wonderful swing in the entire world on her screened porch. We sat there for hours just talking. When we are alone, we tend to talk a lot…..about everything. We have really been able to share our deepest thoughts with each other during this time. Some are hard to say out loud, but God has helped us to be honest with each other and I think it helps us cope. The swing was like therapy! Imagine how this makes me feel. Imagine how much this helps me and our kids and our parents. We could never have imagined a harder fate, but we couldn’t have asked for a better man with whom to face it. 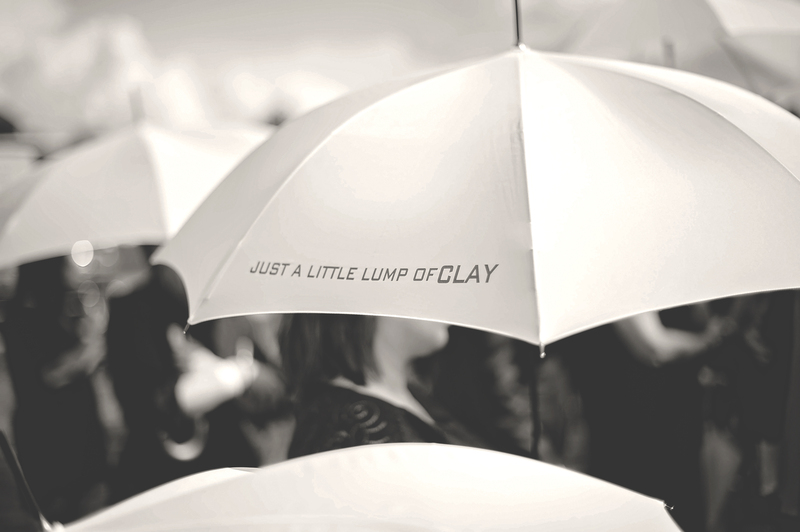 And, we know it’s not because Clay is anything special (you know what I mean.) It’s because of his relationship with God. It’s because he loves the Lord. So, here goes. These are my words, telling you Clay’s heart. He has shared it with me over and over, again. And, let me tell you, before you even read his words…..this is real, y’all. I have walked with this man through his shadow of death from the very first minute. He has never wavered. He has never questioned God, or blamed God, or demanded something from God. In the quiet of the night, in the most private moments, he doesn’t waver. This is truly how he feels. Back to 2 am, laying in bed. The next thing he said was how Chris Tomlin’s song “I Will Rise” was running through his mind. Clay is a real music buff. He’s always loved music…every kind. You could find a playlist for any occasion in his Spotify account. When we first met, he couldn’t believe that I didn’t even know who Sting was. He almost didn’t marry me because my music repertoire was so limited, and I almost didn’t marry him because his was so broad. I mean, he had Prince in his CD collection. And, for this Assemblies of God, Bible believing, church pew raised, little Christian girl, that seemed like a big obstacle. For years, Clay and I debated how to live in the world and not be of it. We discussed the “lines” around Christianity and what we should allow in our lives or not allow. All our debating didn’t mean anything when he got diagnosed. While we were in the hospital in Baton Rouge, we would play worship music all day on a bluetooth speaker. It helped us so much to have the room filled with worship and praise. We found that it kept our minds in the right place….all day. I noticed that Clay started listening to his worship music playlist constantly. He played Selah, and Andrae Crouch until everyone in our family knew every word and note of every song. When he had his radiation treatments every day for six weeks, he played those songs and they helped him find the strength to lay, with his head literally bolted to that table, and remain completely calm. It was the music that helped his heart worship and reminded him of the strength of our God. I am by no means saying that you are in sin if you are listening to anything but Christian music, but Clay’s experience testifies that when your life changes, and you suddenly find yourself in your valley of the shadow, you won’t be asking someone to play U2 or Willie Nelson or the Eagles. You will be clinging to songs that encourage your heart and help you concentrate on a God of miracles. And, if you are in a valley of shadows, and you are not listening to music that edifies your soul, please, we beg you, start. Tune your heart to songs that edify you and remind you about the power of God. Songs that encourage your faith and keep your thoughts fixed on things above, not things below. Get rid of the things that draw you into the world. Put your attention and your affection on things above. Music is not the only thing that changed for Clay. The first night we were home from the hospital in Baton Rouge, we were awake in the middle of the night talking. We just started praying together. Burned in my memory forever is Clay’s very heartfelt prayer of repentance. It just started pouring out of him. He prayed for God to forgive him for allowing his love for the world to grow so strong in his life. He asked forgiveness for not loving God more and for not spending more time reading the Word and praying. His prayer was probably much like many of yours would be. When you realize that you may actually see Him soon, your heart begins to search itself and the Holy Spirit can really work. “Do you know how many hours of my life I have wasted watching movies? And baseball games? I mean, a baseball game is 3 hours. I’ve watched hundreds and hundreds.” He handed me the movie and told me to cancel Netflix movies. It was very sobering to watch the work the Lord was doing. He was drawing Clay’s heart away from the world and to Him. Again, we are not saying anyone is going to hell for watching movies, but how much of your time are you spending on them? How much of your time is dedicated to sports, movies, music….anything that keeps your heart attached to this world? Let the Holy Spirit search your heart. Don’t wait. Do it now. Now, there is something very powerful about laying in bed at 2 am with a man who is literally facing death and he’s talking to Satan. I felt a million emotions. I wanted to jump up and start boxing with him – that weaselly little enemy who thinks he is so big and bad. How must it feel to him to have tried so hard to steal this mans faith, just to find him laying in bed, speaking directly at him, with a resolve that you just can’t hardly believe?! I think he tucked his tail and ran as far as he could get from us that night. You can have this. You can have this resolve. You can face your enemy with a strength that will not relent. A power that will not fail. A faith that will not end. A heart that will be filled with worship for your Savior who is the reason you have this strength. You can have this. It’s that simple. All you have to do is tell Him you love Him and you want Him to be your Savior. Then, He comes and He works in you. He’ll change you. He’ll forgive your sin and change the desires of your heart. He’ll draw you away from the world and draw you to Him. He’ll be your comfort, your friend, your peace. If you read this, and you don’t relate, no worries. You can know Him like this right now. Jesus said that we must have the faith of a child. So, do what Clay did. Tell Him that you love Him and talk to Him like He’s your friend. He longs to be your friend. To be your help. To be your rescuer. To be your life. By now, it was at least 3:30 am. And, our conversation changed to other people in our life who are suffering. We talked about how much harder some other situations are. How we are surrounded by suffering. It is easy to be so focused on dealing with your own situation, that you forget about others around you who are suffering just us much, or maybe even more. We were naming them by name and talking about how we don’t know if we could handle it if we were in the same situation as others. He gives us everything we need to live this life and to live it in Godliness. Why would anyone want to live this life without Him? Without His help. His peace. His love. His grace. It is so peaceful to hold to all those precious promises and to know that He is in control. His rod and His staff comfort us as we walk. This morning, in my own quiet time with the Lord, I wanted to read Psalm 23. You can all probably recite it. But, it took on a new meaning to me when I heard Clay talking about it the way he did. So, I read it again. I had this image of me and Clay, with our kids, our parents and our closest family and friends, sitting at a huge banquet table in the middle of the valley of the shadow of death. This place that is supposed to be so scary. It’s dark, because we are in the shadow. But, the fact that we are in a shadow also means that there is light nearby. Light that is creating the shadow. And, it’s just a shadow. It can’t really hurt us. So, here in the shadow, God has spread a table for us. It is covered with food. Our cups run over, so there’s plenty to drink. And, we are anointed with His oil. Anointed. We are in the presence of our enemy….because it is his shadow we are in. However, God is here and we are feasting. Untouched by our enemy’s plans. Untouched by his schemes. The best part is that the reason God allows our enemy to be here is so that he will be forced to watch us feast at this table of blessing while we sit in his shadow. He has to watch us rejoice in the Lord. He is watching us testify of the goodness of God. He sees our cup running over. He has to watch us eat all this delicious food and he can’t have it. That must really be a horrible fate for him. He thought we would come into his shadow and be fearful, cold and shamed. But, the opposite has happened. We are comforted, peaceful, full and happy. Because God is with us. Jesus is here. The Holy Spirit leads us through the valley. We walk along at a comfortable pace and the rod and staff comfort us. That is amazing. Simply amazing. And, it is true. It is real. And, you must know it.